University of Bucharest (UB) is one the leading higher education institutions in Romania and South-East Europe, actively contributing through research and teaching to the development and use of knowledge. The University of Bucharest offers numerous accredited and authorized study programs, from Bachelor degrees to PhD programmes, as well as life-long learning programmes and Erasmus programmes. Enhancing international cooperation, the University of Bucharest has defined partnerships and strategic collaborations with more than 100 prestigious universities from 40 different countries. 2007 rankings by Times Higher Education Supplement and company Quacquarelli Symonds place the University of Bucharest among the top of the highest performing universities in the world. 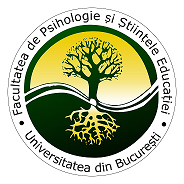 One of the biggest University of Bucharest faculties is the Faculty of Psychology and Education Sciences The Faculty has five departments: Psychology, Educational Sciences, Special Needs Education, Teacher training - initial training for kindergarten/primary school teachers, future teachers, and continuous training for teachers in secondary education - and Doctoral School. The faculty has cooperation programmes at international level (e.g., exchange students, research, and academic projects) and also at the national level. Forms of cooperation include guest lecturers from public and private institutions connected with the field of study, practicum time and internships time in companies and governmental bodies, participation in partner's activities in relation with the domain of study, involvement in forms of partnership in common projects, programmes, and long-term activities.